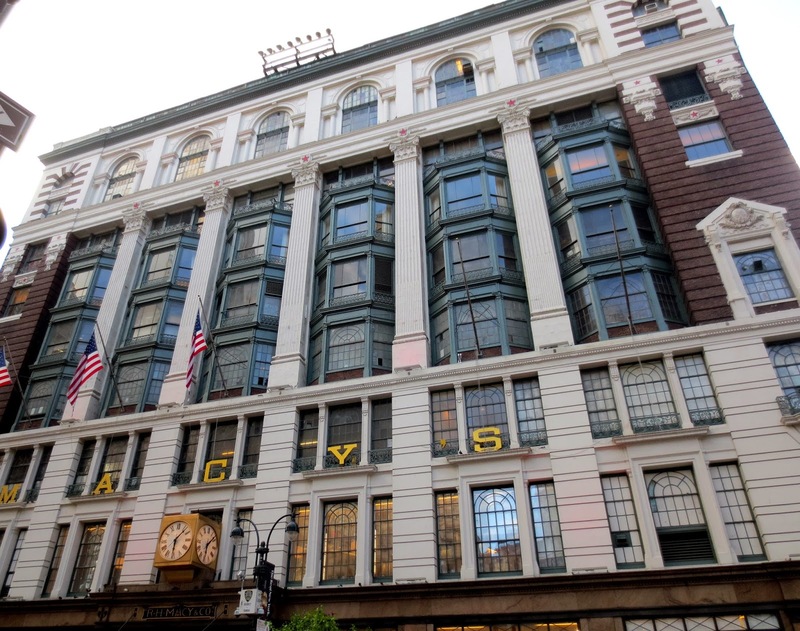 No visit to New York City would be complete without a visit to Macy's -one of the most famous department stores in the world. 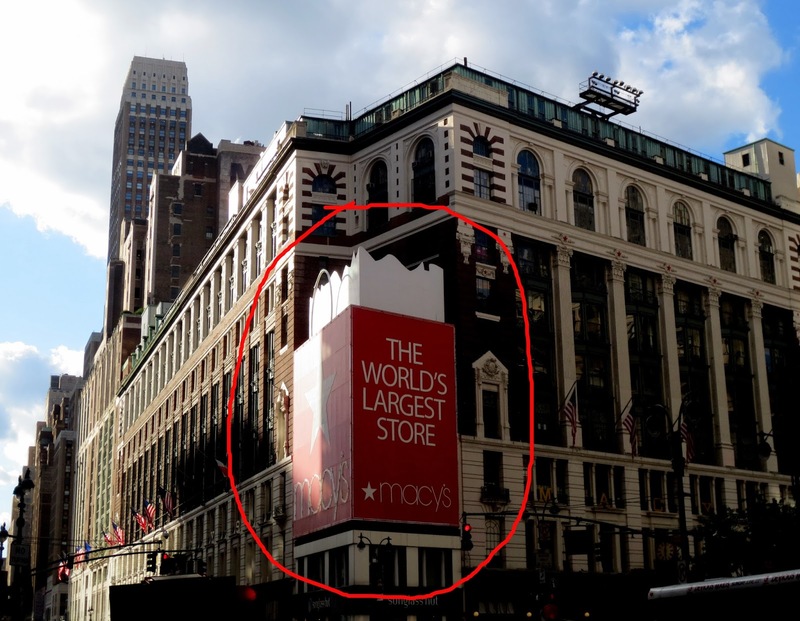 Macy's has appeared in more than 50 movies and television shows. Macy's Thanksgiving Day Parade is one of the largest and most popular parades in the United States. The parade kicks off the holiday season - my favorite time on New York! You can read about parade in my older post. Rowland Macy, born to a Quaker family in Nantucket, Massachusetts, left home at the age of 15 to sail the Atlantic with whale hunters. He worked as a seaman and later as a ship’s captain. 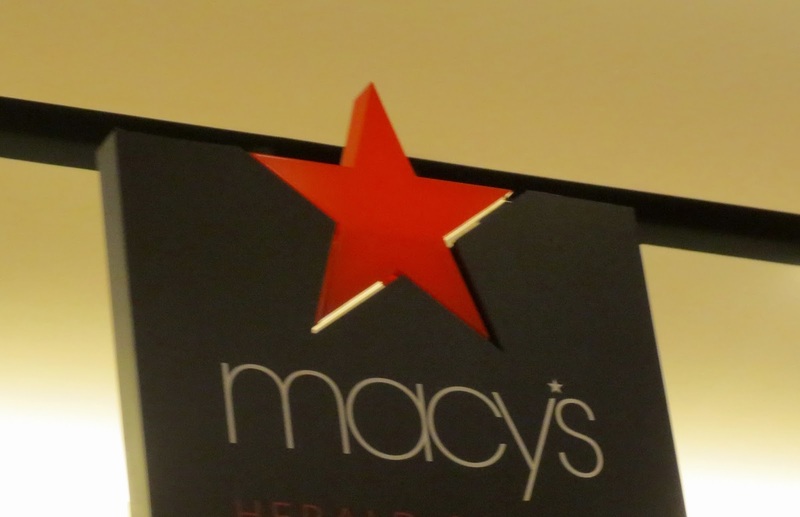 The red star in the Macy's logo was his idea, inspired by a red-star tattoo on his forearm from his whaling days. Macy took only one voyage on a whale-ship before entering dry goods business. 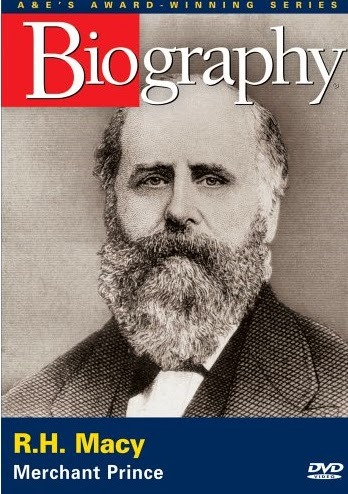 He briefly worked in his brother-in-law's Boston shop, then in California in the 1849 gold rush and after a sets of failure opened a small store of his own in a low-rent neighborhood in New York City on 6th avenue between 13 and 14 streets. This time, the business was highly successful, and brought in more than $90,000 the first year. 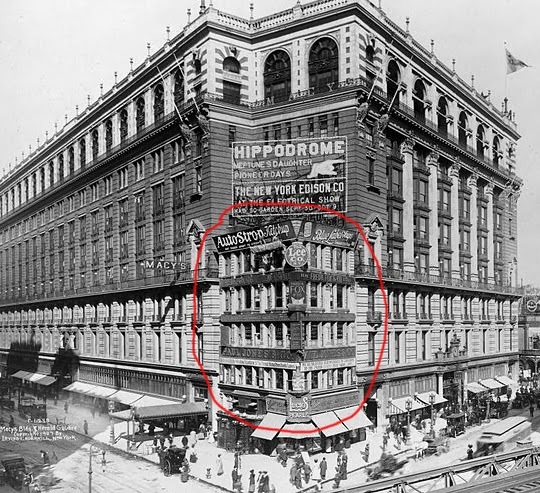 By 1877, Macy's store had grown to a tangle of eleven connected buildings on New York's 13th and 14th Streets. The first elevated train line "Ninth Avenue El" opened in 1868 in New York City. In 1880, most Manhattan residents lived within a 10 minute walk to an "el". The increased foot traffic created the business boom. 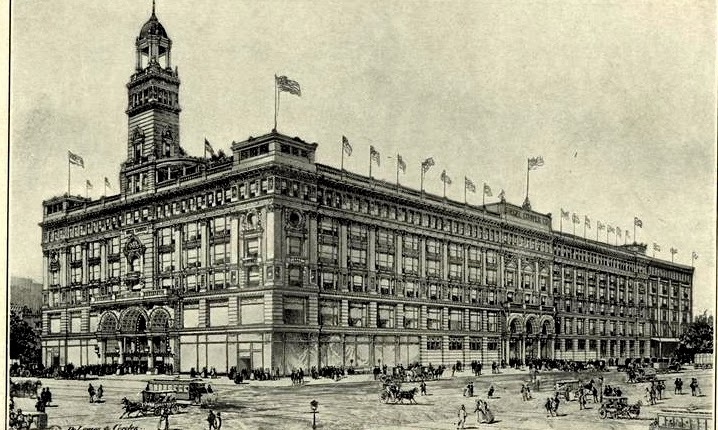 A publication in 1886 commented that Macy’s had the largest area of floor space devoted to the retail dry-goods and fancy-goods trades in the city of New York. 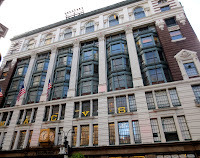 Ownership of the company was passed down through the Macy family after Macy death in 1877 until 1895, when the company, now called "R. H. Macy & Co.", was acquired by Isidor Straus and his brother Nathan Straus. 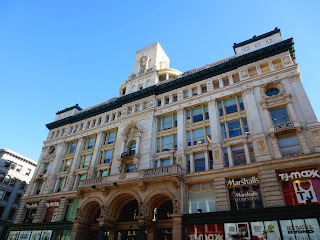 During the 1890s, the Strauses further expanded the R.H. Macy & Co. Store complex. In 1891-92, they constructed a nine-story, 75,000 square-foot building at 55 East 13th Street 13th. The building now belongs to the New School. Several years later 56 West 14th Street was built. The main competitor of Macys at that time was Siegel-Cooper Company. The Siegel-Cooper Company started in Chicago in 1887. Inspired by the 1893 Chicago World’s Fair there, the owner Henry Siegel had been dreaming about the largest store the world had ever seen. He’d build it in New York, at 18th Street and 6th Avenue, in the heart of the Ladies’ Mile, several blocks to the north of Macys. The steel-framed building, the first department store in New York, opend In September 1896, was the largest store in the world at the time, and was designed in Beaux-Arts style by DeLemos & Cordes, who would go on to design the R. H. Macy's store in Herald Square. There was a grocery department, barber shop, theatre, telegraph office, art gallery, photo studio, bank, dental office, a 350-person restaurant, and a conservatory which sold live plants in the same building. At its peak, the store employed over 3,000 people, mostly girls and women, and offered its employees an infirmary, a parlor and a gymnasium. The company also published a newspaper for its workers, called Thought and Work. 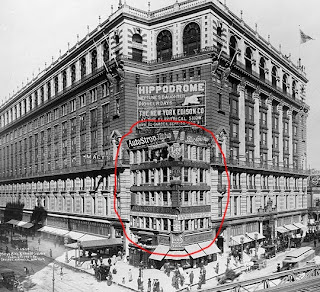 The owner of Macys Isidor Strauss decided to move his store to the north started to secretly to buy the lots on the Broadway, between y 34th and 35th Streets in preparation for his big move. 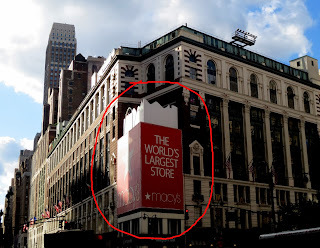 Siegel found out about of his plan and outbid Macys company on the last parcel at the corner of 34th and Broadway. Siegel demolished his little corner building and built a 5-story retail building on the site, completely dwarfed by Macy’s shadow. In 1902 Siegel sold the company to one of his major stockholders who merged the “Big Store” with B. Altman across creating a mega-store which was unsuccessful. Macy’s bought Siegel’s corner building in 1911 for $1,000,000, an enormous sum at the time and covered it with advertising. Siegel-Cooper declared bankruptcy in 1915, and the New York store closed in 1917. Later the building with the famous Siegel store became a military hospital and then a warehouse. 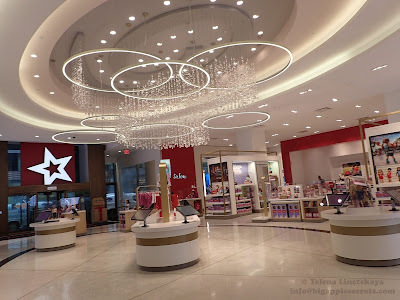 I'll tell you the end of the Macy's story in one of my next posts.